SSuite Office Software is a totally free alternative to commercial office suites. The field of freeware office suites is very competitive, but this one stands out for many reasons. It comes with a word processor (WordFormat 2), a spreadsheet (SpreadForm One), PDF Memo Creator and NetSurfer One, a web browser. Its email client is called My EZ Mail. The suite also comes with an envelope printer, a sorting utility and some games. WordFormat 2 has a simple and intuitive interface. You can save files in txt, DOC and RTF (rich text format) formats. You can even save the files in Pascal and C++ formats. It comes with statistics, formatting, grammar and spelling, word count and other features. SpreadForm One can save and open files from Excel 4 and 5 (not Excel 2010 though). Spread Form has its own proprietary format that you can use. As can be expected, it comes with basic spreadsheet functions and advanced formulas. The PDF Memo Creator is a tool that lets you create PDF files. NetSurfer One (aka My WebBrowser) is a compact web browser. It has many features similar to what you’d find in IE. My EZ Mail is an adequate application for most email tasks. One of the most interesting utilities is the Sorting Machine. What it does is sort lists using different techniques. The Envelope Printer is self-explanatory. It’s an app for creating envelopes and printing labels. SSuite Office Software has an Address Book. It’s nothing fancy, but it has import and export capabilities. If you can’t afford or don’t relish the idea of paying for office suites, this is worthy of a look. 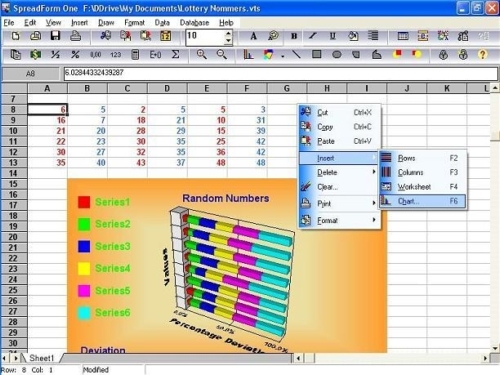 It has support for common Word and Excel formats. 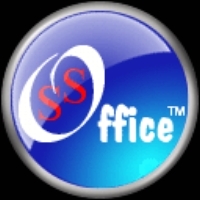 SSuite Office also has many features that rival Microsoft Office.